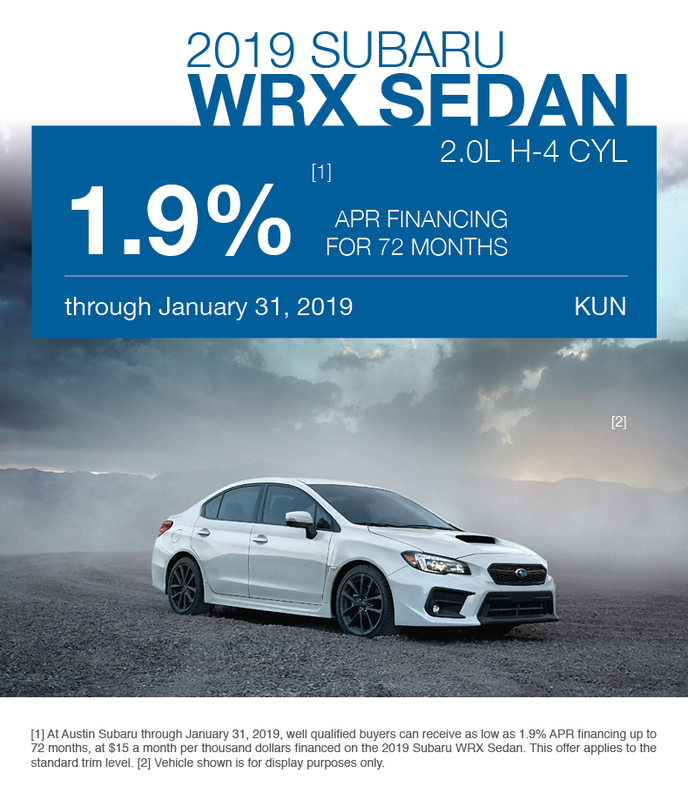  At Austin Subaru through January 31, 2019, well qualified buyers can receive as low as 1.9% APR financing up to 72 months, at $15 a month per thousand dollars financed on the 2019 Subaru WRX Sedan. 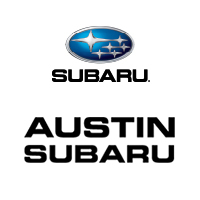 This offer applies to the standard trim level. Vehicle shown is for display purposes only.